I was on BBC Arts Extra, here supposedly talking about Rain Dogs but mostly just gabbing away. I'm on at the 16 minute mark. 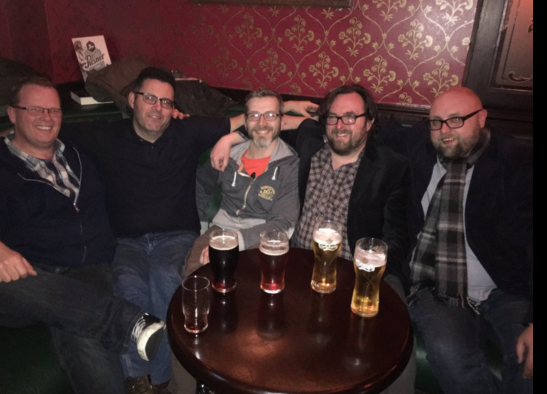 Last night I met up with Stu Neville, Brian McGilloway, Gerard Brenann and Steve Cavanagh and we had a few jars in Robinsons Bar, Belfast. I say a few...we were the last people to leave and I got home at one thirty in the morning, not entirely sure how I did get home.